BizOnline Home | Graphic Design, Printing, Website Design, Traralgon, Gippsland, Latrobe Valley. 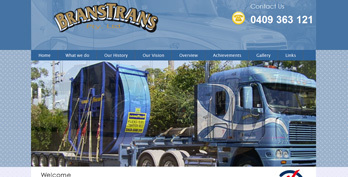 Branstrans is a Transport Company that focuses on the most professional of behaviour and wanted a professional, clean and fresh site to reflect their Business Philosophy.  BizOnline is a customer focused Print, Web & Design Company. Our Primary Goal is to service the needs and requirements of every client large or small to the best of our ability at all times. Create a great first impression with professional, high-quality design and printing with BizOnline. Here at BizOnline we can create design solutions that creatively integrate all aspects of your business identity. We believe that it is crucial to have a strong, professional image as this is how your business is perceived this is expressed through the name, symbols, and logos used by the organisation, and the design of communication materials, and is a key factor in influencing the image of an organisation. BizOnline understands that every business is unique, so all our website designs are custom tailored to meet your specific requirements. We ensure every web design is attractive, easy to navigate and interactive. Whether you are a small business, non-profit organization or a large company, BizOnline can produce a professional website design that reflects your business identity and is within your budget. BizOnline has moved from it's office in Post Office Place, and will now be operating from 55 Hourigan Drive, Traralgon East, mob: 0412 093 285. This is a private residence and as such we ask that all visits are by appointment only at this stage, we are in the process of building a dedicated office space and once this has been completed this will be reviewed again. Bizonline has created a new online magazine "mybikemagazine.com" this initially started as a way to show clients what can be achieved using some fairly basic marketing and social media and website management strategies. The magazine has been running for a little over 6 months in it's current form and has been increasing it's user base steadily over this time, currently we are getting anywhere between 2000-4000 hits per day! We have over 11K twitter followers, and have now begun our facebook strategies and this is proving to be quite successful we are now over 600 facebook likes and this number is growing everyday. So far we have been very happy with the success of the magazine and have decided to continue adding to it and growing it, with a view to potentially creating a printed version also.